Find the video you want to add to the playlist. Click the "Add to" link below the video. 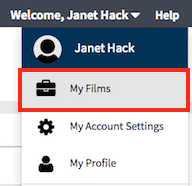 If you don't have a Films on Demand account, click on the "Create a New Account" button. Otherwise, log into your account. Select either the full title or the segments you want to add (CTRL-click for multiple segments) and add to your playlist. 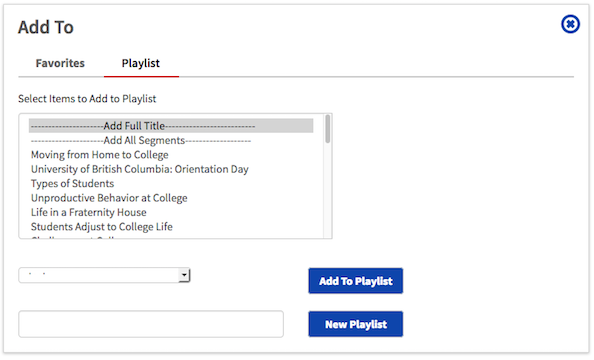 You can either select an existing playlist, or create a new playlist. 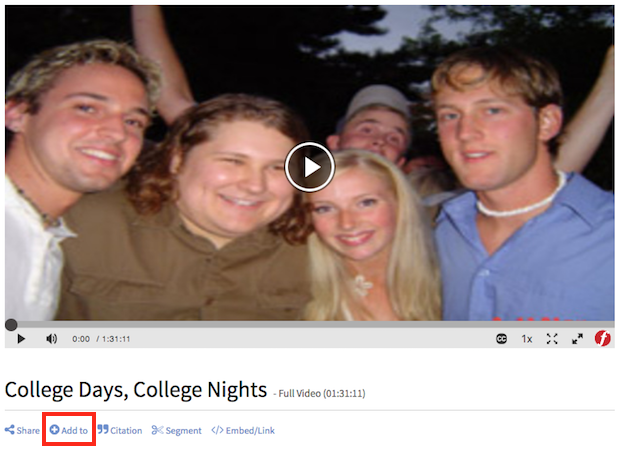 At the top-right of the page, click on "My Films" and log in. 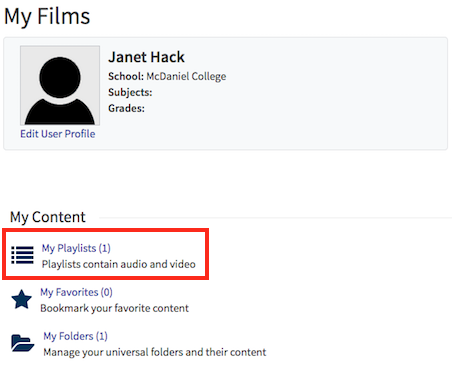 At the top-right of the page, click on your name, then select "My Films". Under the My Content section, click on "My Playlists". 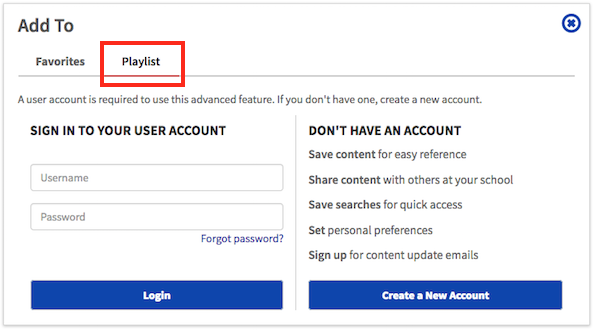 Find the playlist you want to share, and click on the "Embed/Link" link. 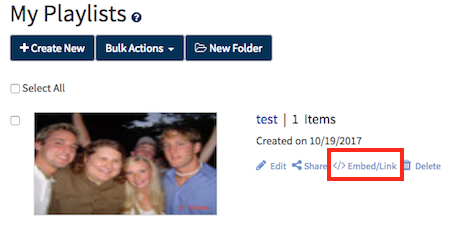 Copy the Record URL and paste into Blackboard.